Join LDS Travel as we experience the Dynamic Dominican Republic. The Dominican Republic is a nation on the island of Hispaniola, part of the Greater Antilles archipelago in the Caribbean. The western third of the island is occupied by the nation of Haiti. 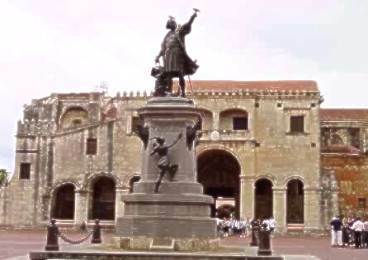 Christopher Columbus landed on it in 1492, and it became the site of the first permanent European settlement in the Americas, namely Santo Domingo, the country's capital and Spain's first capital in the New World. 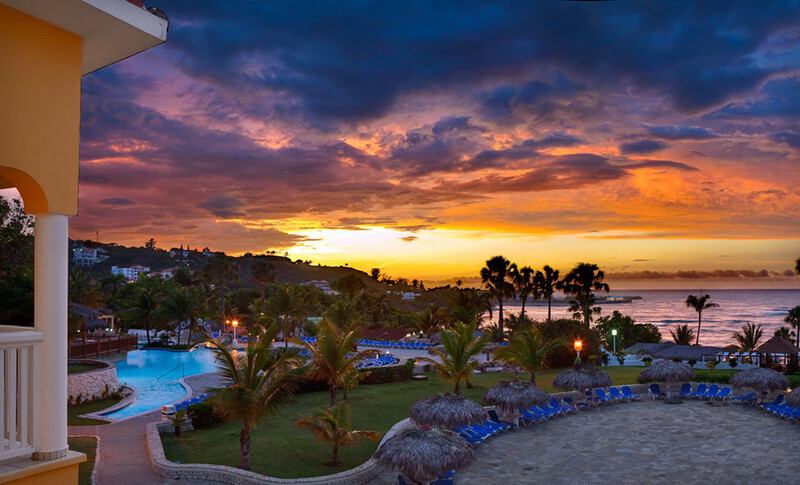 The Dominican Republic is the most visited destination in the Caribbean. It is easy to understand why, when you realize that this country contains the Caribbean's highest mountain, largest lake, lowest elevation and it boasts year round golf courses, amazing biological diversity and a year round average temperature of almost 80 degrees. All of this and more makes this country an amazing place to visit. This tour will explore the nations history, beauty and the adventure it has to offer. This is not a tour you want to miss out on! Depart your gateway city in the evening to begin your journey. Today we will arrive in Santo Domingo the capital of the Dominican Republic. We will transfer to our hotel and the remainder of the day at leisure. This will give you a chance to rest from our long journey, or you can enjoy the great amenities of our hotel. 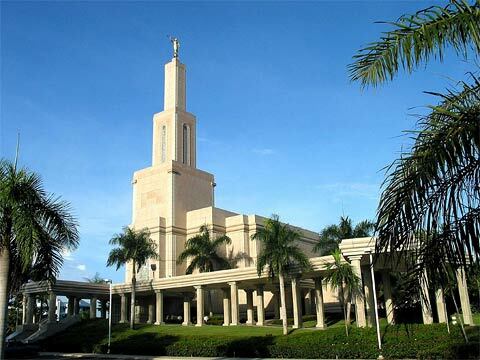 The Santo Domingo temple is about a half mile away. You can go walk around the grounds or do a session if you feel like it. Today we will tour the most important areas of the modern city and take a walking tour of the old city. The new city tour will include the Congress building and the presidential palace. The 16th century section will include the national cemetery, the Vice Royal Palace of Diego Columbus, the first cathedral of the new world and Las Damas the first street of the country. After lunch we will vist the Botanical gardens, where we will explore this beautiful botanical delight by train and by foot. Optional 4 course dinner at a unique restaurant built in a cave. 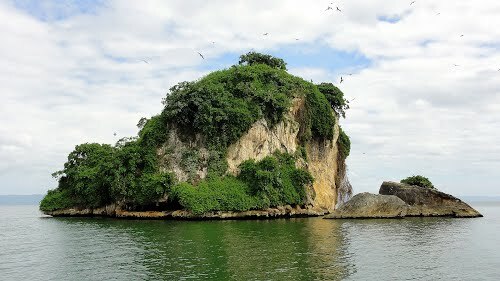 Today we will leave Santo Domingo and travel to the beautiful Samana Peninsula. As we are leaving Santo Domingo we will stop at Los Tres Ojos (The three eyes). This is a series of amazing open air limestone caves. Lunch along the way. Before arriving at our accommodations, we will make a stop and have the opportunity to hike or ride horses through the jungle to view El Limon waterfall. Our lodging for the next two evenings is a beautiful private villa, complete with our own personal chef. Today we will tour Parque Nacional Los Haitises (The Land of the Mountains National Park). This park is one of the most distinctive of all the countries national reserves. It contains mangroves, tropical forests, limestone caves, petroglyphs, 700 species of flora, and roughly 110 species of birds. Due to its rugged topography and its remoteness, Los Haitises is best conquered by boat. We will wander through mangroves, rivers, and islets. The tour will include walking tours through the forest and caves. Lunch and time to enjoy the beach is included. Today is a day you will never forget. 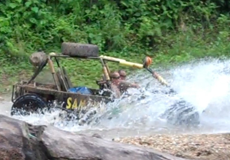 When was the last time you drove a dune buggy through the jungle, rivers and swamps to end up at one of the worlds most amazing beaches. Rincon beach is world renown for its breath taking beauty. We will enjoy a couple hours here eating lunch at one of the beachfront restaurants, snorkeling or just soaking up some sunshine before we drive back to our jungle retreat. Tonight we will have the unique experience of sleeping in tree houses. 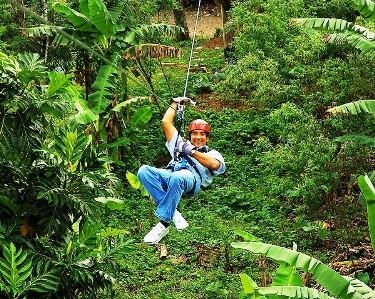 This morning you can choose to zip through the jungle on the countries most popular zipline adventure or explore our jungle retreat. 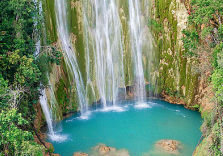 You can get a hydro massage at Lulu falls, relax on beautiful El Valle Beach or learn about organic crop production. This afternoon we will transfer to Puerto Plata where we will check into our all inclusive beachside resort. 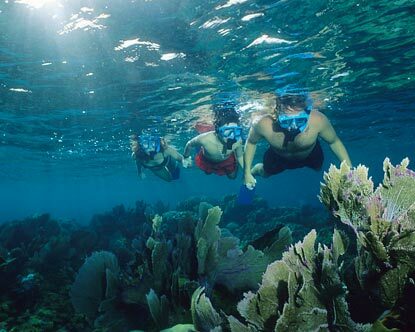 You can choose to enjoy our beautiful all-inclusive resort or sign up for an optional Snorkeling or diving tour in Sosua bay. Today kick back and enjoy our beautiful all-inclusive beach resort, play an optional round of golf at the course right next door to our resort or go on an optional white water rafting adventure. This morning we will tour the city of Puerto plata. We will visit San Felipe Fort and take the cable car to the summit of Mount Isabel de Torres. Where we will be able to enjoy the amazing view. Then we will visit 27 waterfalls. This is an adventure you will be telling your freinds about for years. Since we are away from our resort we will have lunch at the 27 waterfalls buffet before beginning our adventure. We will take a nice 1 hour hike through the jungle to the top of a series of 27 waterfalls. 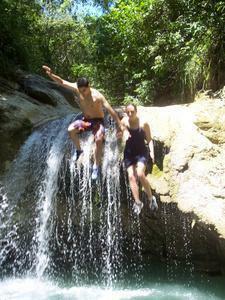 We then get to slide, jump and swim our way down all 27 of these falls. Of course there are walk arounds if the water seems to far away. * This amount includes all the land tour items shown in the itinerary along with a travel insurance policy.